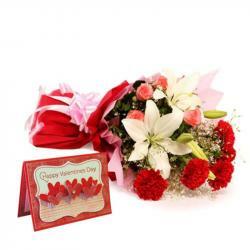 Product Consists : Bouquet of 6 Red Carnations along with Valentine Greeting Card. 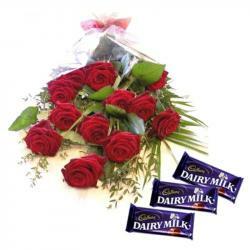 Every one can like an elegant carnations which show heart warming feeling of love. This hamper will mesmerize your special person in India with its sheer elegance and send this hamper for your love ones along with other bewildering Gifts to India through Giftacrossindia and make your dear ones feel special. 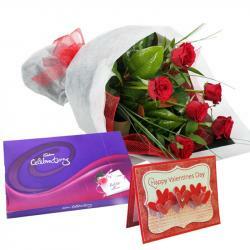 This bouquet comprises of ten beautiful carnations that have been wrapped in cellophane paper. They have bloomed fully and appear beautiful. A bow has been tied around it that matches the colors of the flowers. 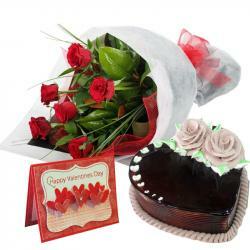 This bunch is also tied with a charming matching ribbon bow for added effect along with Valenetine Greeting Card. 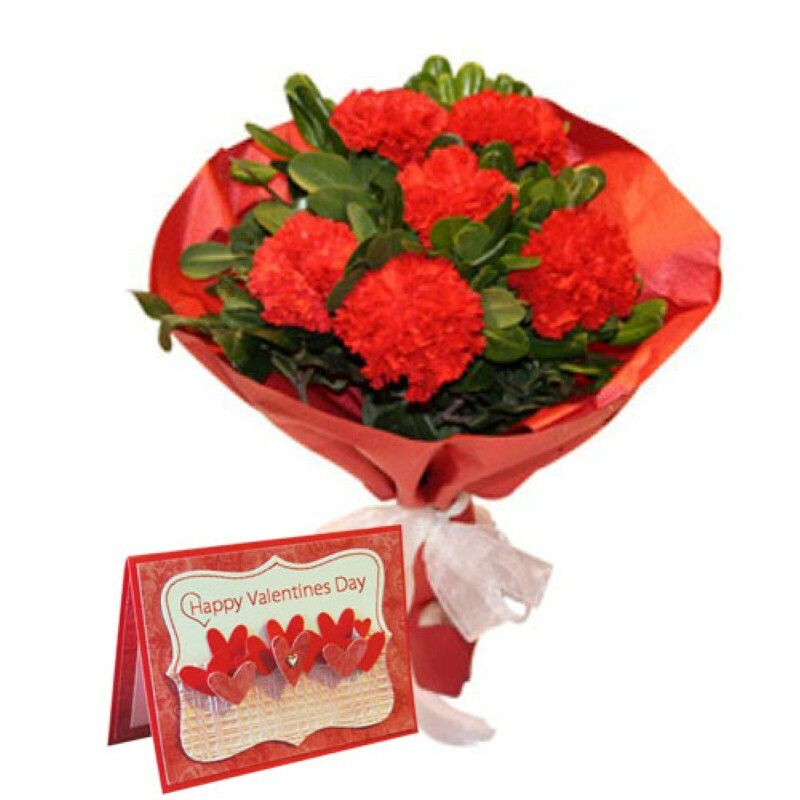 Product Includes : Bouquet of 6 Red Carnations along with Valentine Greeting Card.